In this section we offer brand new equipment of last generation and technology; over the years we have refined our catalogue to make sure we only offer a selection of the best models available. 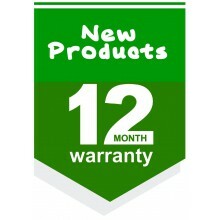 New There are 3 products. 'Neumarker' maker for pancakes, crepes diameter 400 mm, recommended for gastro and commercial use. Stainless steel casing with fixed, uncoated cast iron baking plate, thermostat, height-adjustable feet. Brand new item, boxed, made in Germany. Price without VAT. 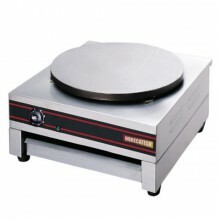 Crepes maker, diameter 400 mm, recommended for gastro and commercial use. Uncoated cast iron baking plate, thermostat. Brand new item, boxed, made in EU. Price without VAT. 'Neumarker' double maker for pancakes, crepes diameter 400 mm, recommended for gastro and commercial use. Stainless steel casing with fixed, uncoated cast iron baking plate, 2 thermostats, height-adjustable feet. Brand new item, boxed, made in Germany. Price without VAT.